Call us today for an initial consultation. We will make every possible effort to schedule a prompt appointment. Send us an email with any questions that you might have and we will be glad to answer them. 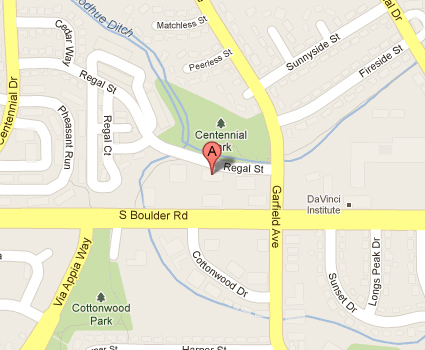 From The West (Boulder): We are located in the Louisville Medical Professional Center (green sign). Take your first left after the traffic light at Via Appia and we are in building 335 at the east end of the complex. From The East (Lafayette): We are located in the Louisville Medical Professional Center (green sign). Take your first right after the traffic light at Garfield. Building 335 will be on your right just inside the complex. Thank you for submitting this form!